Cockroaches offer a useful and inexpensive alternative to traditional laboratory animals, yet most researchers are unfamiliar with their biology. This unique and comprehensive cockroach handbook is written for everyone from novice to expert. 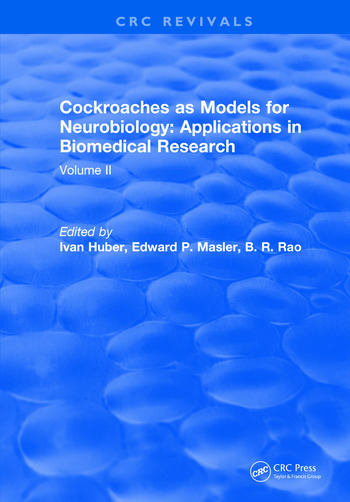 It addresses every aspect of cockroach biology, with a particular emphasis on the neuroendocrine system. Liberally illustrated chapters include such topics as cockroach culture, anatomy, behavior, and various experimental techniques. One of the few available books to provide broad coverage of the neurobiology of a single organism, this second volume is a must for all researchers in biomedical or veterinary fields, as well as for entomologists. Ivan Huber is Professor Emeritus of Biology Fairleigh Dickinson University, Madison, NJ, US.